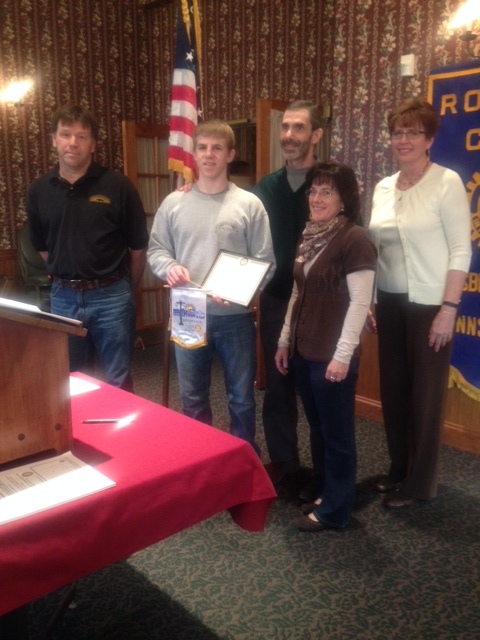 Congratulations to HVAC student Noah Kuba, who was recently selected as the Lewisburg Sunrise Rotary’s April, 2014 Student of the Month. Congratulations to Computer Networking Technology student Brooke Raker who was selected as the Rotary’s March Student of the Month! 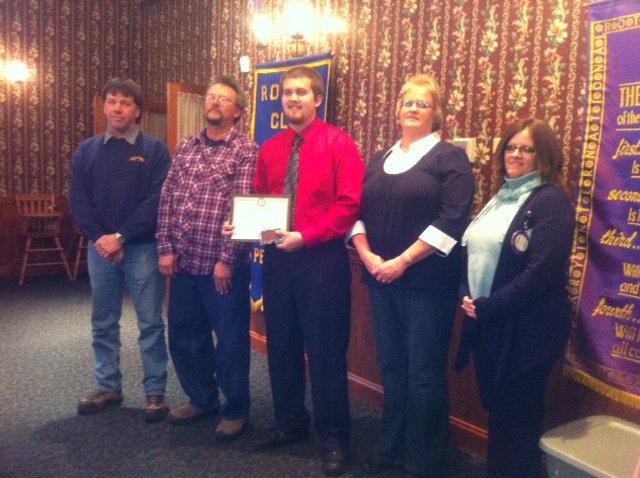 Congratulations to John Punako, SUN Area Technical Institute’s Lewisburg Rotary student of the month! Pictured left to right is Oksana Punako (sister of student), Crystal Kutza (mother of student), John Punako (Award Winning student), Advanced Precision Machining Instructor Terry Anselmo, along with Rotary Representative. Congratulations to Cosmetology student Mariana Mangiapane for being nominated as Lewisburg Sunrise Rotary Club’s Student of the Month! From left to right: Cosmetology instructor Crystal Gutshall, Cosmetology student Mariana Mangiapane, and Rotary representative Marcia Cooney. 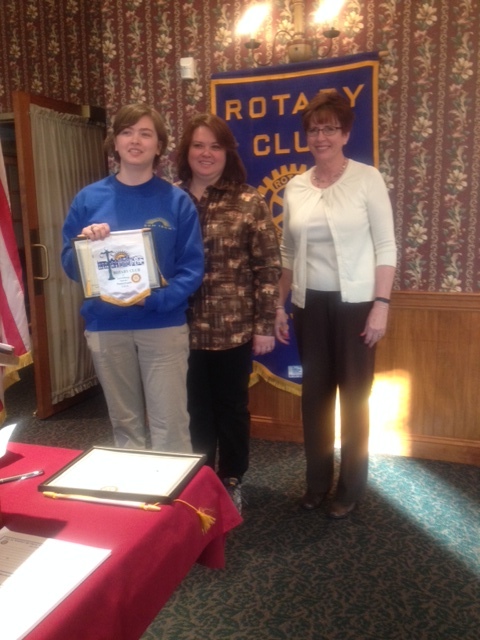 Congratulations to Health Professions 201 student Ginny Johnson for being selected as the Sunrise Rotary’s March 2013 Student of the Month! 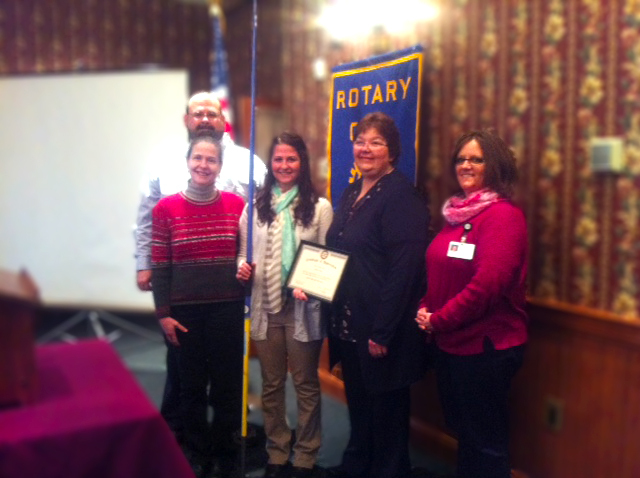 Pictured here are Ginny Johnson, her parents are Tim and Crystal Johnson, Rotarian Marcia Cooney, and Health Professions instructor Pat Millett. 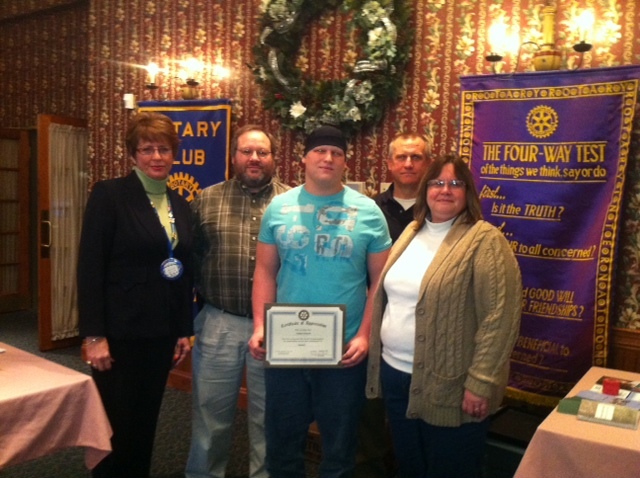 HVAC student Dakota Eberhart was voted the Lewisburg Sunrise Rotary’s Student of the Month for February, 2013. Congratulations Datoka! 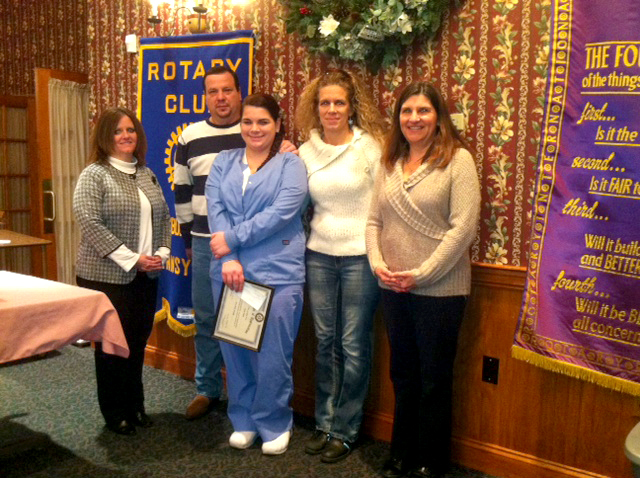 Dental Health Technology student Phylicia Salsman was voted the Lewisburg Sunrise Rotary’s Student of the Month for December, 2012. Congratulations Phylicia! 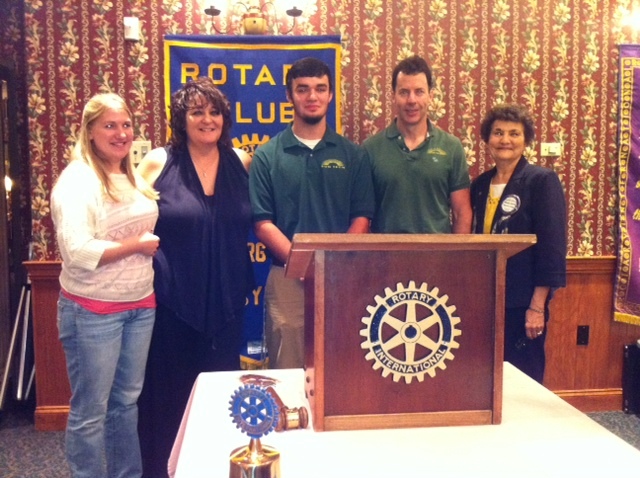 Congratulations to Carpentry student Jonathan Fetterolf for being awarded the November 2012 Student of the Month award by the Lewisburg Sunrise Rotary. Pictured here are Darryl Fetterolf (father), Jonathan Fetterolf, Bill Samuelson (Carpentry Instructor), and Mary Fetterolf (mother). 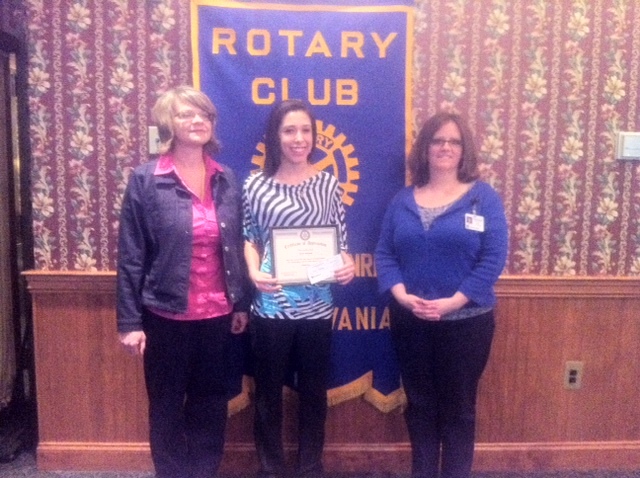 Congratulations to Nichole Brouse for being nominated the Lewisburg Rotary’s October Student of the Month! 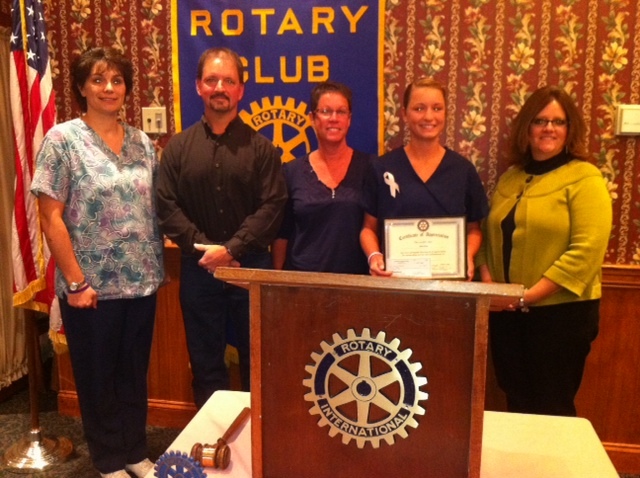 Congratulations to Health Profession student Nichole Brouse for being named the October 2012 Student of the Month by the Lewisburg Sunrise Rotary. Pictured here are Robin Harvey (Health Professions instructor), Mark and Pamela Brouse (parents), Nichole Brouse, and Marcia Cooney (Rotary President). 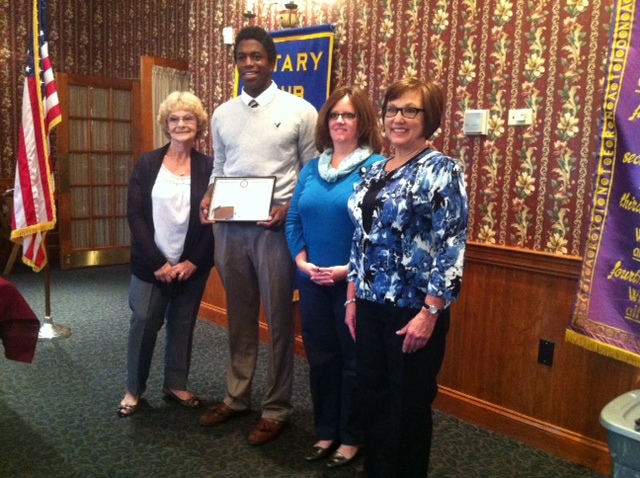 Criminal Justice student Tyriq Dorman was name September 2012 Student of the Month by the Lewisburg Sunrise Rotary. Pictures below are Connie Dorman (mother), Tyriq Dorman, Marcia Cooney (Rotary President), and Susan Lovejoy (Criminal Justice instructor).